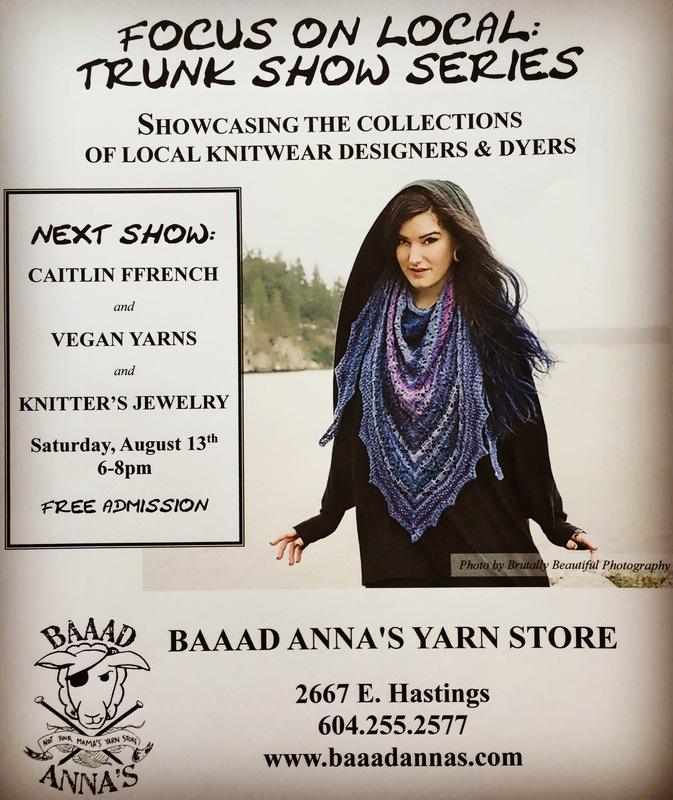 In preparation for our upcoming trunk show with Caitlin Ffrench, Kristin Macintyre and Vegan Yarns this Saturday (August 13th from 6-8pm) tonight’s guest blogger Jess Knowles chatted with Caitlin of These Secrets (while she was on holiday in Iceland, no less). Can you tell us a little bit about what you’re going to be showcasing at our upcoming trunk show? At the trunk show I’ll be bringing botanical drawing inks, yarns that are 100% Canadian, and spinning fibre! Also- there will be a few copies of Dark Woods! What would you say is your biggest passion at the moment? At the moment I’m loving making botanical drawing inks and small packs of yarn and fibre to use for weaving. In my home life I’m working on weaving- I’ve finally got a studio that fits both of my floor looms! How does the Pacific Northwest influence your design and art? The landbase we live in (Coast Salish Territories/ Pacific Northwest/ Cascadia) is where I wildcraft plants, hike, camp, and live life. I have special places and hikes I go to for inspiration- I enjoy dark winter days most. When the sky is grey and the woods are dark- that’s when I’m happiest. What is one of your favourite memories of Baaad Anna’s? My favourite memory of Baaad Anna’s is when Anna and I pulled weeks of late nights painting walls and staining the shelves in preparation for the grand opening. We had no idea what we were in for! I feel lucky that I got to work for her in the early days and to now see how brilliantly the store has grown. Knowing you’re in Iceland at the moment, can you speak a little bit about that experience? About the textile arts you’ve seen while there? Iceland is life changing. It’s my second time here- and I’m headed home tomorrow. I don’t feel like I really can yet put into words what this trip has meant for me. But a secret: my husband and I shot a book of knitwear here, and it’s entirely on medium format film! Any advice for a newbie knitter? For a seasoned pro? The best advice I think is to let go and start again. I can’t tell you how many things I’ve made and realized weren’t good. Just rip them back and start again! That’s the magic of knitting! 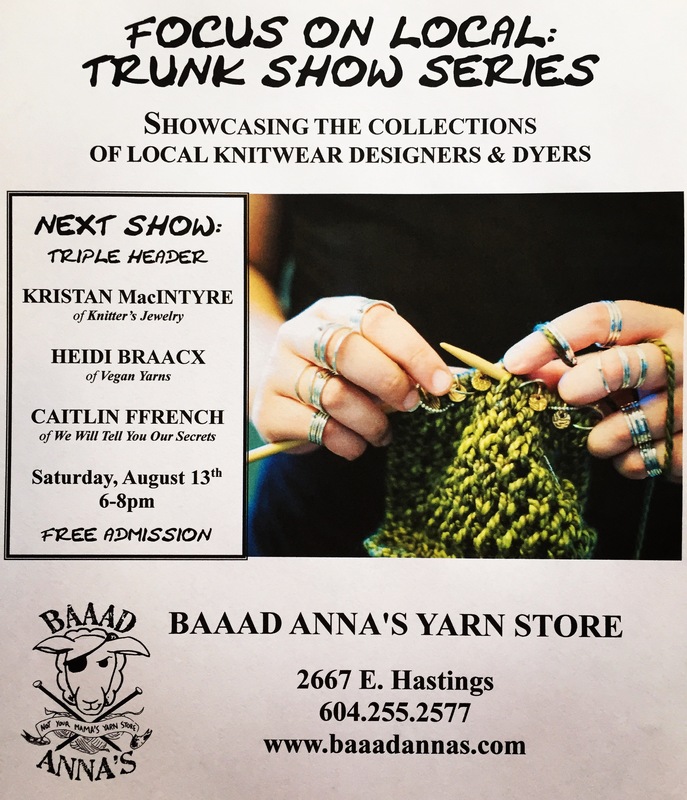 Caitlin’s magic can be seen firsthand at our next FOCUS ON LOCAL Trunk Show, where she will be joined by two other exceptional locals Heidi Braacx of Vegan Yarn and Kristan MacIntyre of Knitter’s Jewelry. Come join us in supporting local talent. Jess Knowles joined the Baaad Anna’s team for the summer and is a beacon to fibre arts delights. Keep an eye on some of her additional guest blogs here over the next few months.